In the multi-language edition of PHPKB knowledge base software, Superusers or Translators can edit or translate language files. Expand Languages section of the left navigation bar and click on "Manage" link to open ’Manage Languages’ page. Click on Actions button corresponding to the file you want to translate and select Edit option, it will redirect you to Language Configuration page. The language configuration page displays the name of language file which you are configuring with the panel heading as Greek is displayed in the figure below. You can configure the language file variables for the knowledge base in this part. 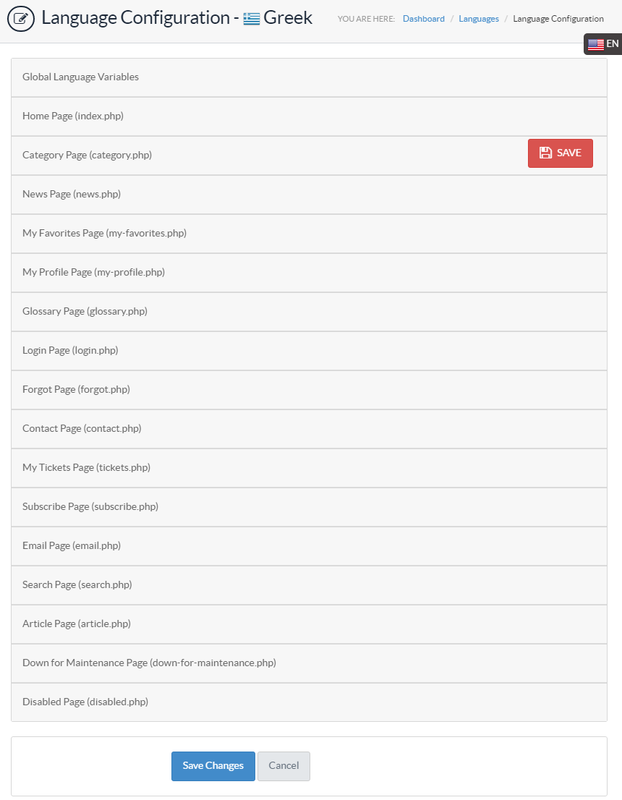 Variables are divided into different sections as per the pages available in the front end. 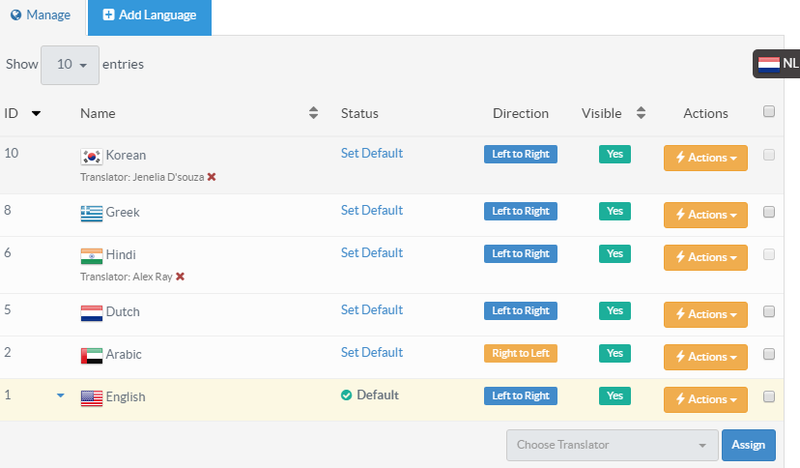 You can click on these sections to expand and see the translation variables available. For example, if we expand My Favorites Page (my-favorites.php), it will display the English text that is to be translated on the left (Text to translate), and the field for translation values on the right (Refer figure shown below). In the figure below, the text to be translated is displayed in English and corresponding fields contain Greek translations of them. In the same way, you can configure other variables in selected language. While translating, you may see some special words/symbols in between "% %". You are not supposed to change or translate these words/symbols as they have predefined meaning. Refer table shown below for understanding the meaning of these variables. Click on Save Changes or Save button after making changes to variables.